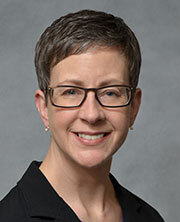 Dr. Cathy Jordan, pediatric neuropsychologist by training, is Associate Professor of Pediatrics and Extension Specialist at the University of Minnesota. Her current scholarly interest is in the salutary effect of the environment on human development. Her work focuses on promoting research endeavors to understand child health, learning and development through play in nature and nature-based education. Cathy is the consulting Research Director for the Children & Nature Network. She is a current member, and former chair, of the Minnesota Children and Nature Connection. She is the PI of a National Science Foundation grant titled “The Science of Nature-Based Learning Collaborative Research Network.” The Network convenes two dozen members – academic researchers, educational practitioners, designers, teacher educators, philanthropists, and science communicators – in an intentional network to develop a research agenda and conduct collaborative research to advance the pace and quality of research aimed at understanding how, under what circumstances, in what settings, and for whom, nature contact influences children’s learning and educational outcomes. Cathy’s initial scholarly interests focused on the developmental risks posed by the environment. Her early research featured two large, longitudinal, federally-funded community-based participatory research (CBPR) projects beginning in the 1990’s on childhood lead poisoning prevention and impact. Through her early CBPR projects she became intensely interested in models of research that aim to address community-defined needs and contribute to social and policy change yet enhance scientific methodology and contribute valid information to our knowledge base. Cathy is founding editor of www.CES4Health.info, a mechanism for the rigorous peer review and online publication of innovative products of community-engaged scholarship that are in forms other than journal manuscripts, sponsored by Community-Campus Partnerships for Health. Cathy enjoys helping academics use community-engaged approaches, to develop scholarly products from those approaches, and to navigate promotion and tenure as community-engaged scholars. Cathy earned her B.A. with high honors in psychology from Oberlin College and her PhD in clinical psychology from Wayne State University. She is an inaugural inductee of the Academy of Community Engagement Scholarship and winner of the University of Minnesota’s Outstanding Community Service Award and the Outstanding Partner in Engagement Award. Jordan, C. M. The Community-engaged Scholars Program: Designing a professional development program to enhance individual capacity, community benefit and institutional support. Journal of Community Engagement and Higher Education, 8(3), (2016), 6-15. Martin, L., Fan, Y., Duke, N. N., Hearst, M. O., Jordan, C. M. The Scholars Program learning circle: An example of capacity building in the academy for engaged team science. Journal of Community Engagement and Higher Education, 8(3), (2016), 16-24. Jordan, C., Chazdon, S., Alviz, K. Evaluating beyond the ivory tower: Lessons learned from the Scholars Program. Journal of Community Engagement and Higher Education, 8(3), (2016), 66-84. Hadjiyanni, T., Hirani, A., Jordan, C. Toward culturally sensitive housing – Eliminating health disparities by accounting for health. Housing and Society, 39(2), (2012), 149-164. Seifer, S., McGinley, P., Blanchard, LW. Jordan, C., Gelmon, S. Faculty for the Engaged Campus: Advancing community-engaged careers in the academy. Journal of Higher Education Outreach and Engagement, 16(1), (2012), 1-20. Jordan, C.M., Gelmon, S.B., Ryan, K., Seifer, S.D. CES4Health.info: A web-based mechanism for disseminating peer-reviewed products of community-engaged scholarship: Reflections on year one. Journal of Higher Education Outreach and Engagement, 16(1), (2012), 47-64. Jordan, C.M., Doherty, W., Jones-Webb, R., Cook, N., Dubrow, G., Mendenhall, T. Competency-based faculty development in community-engaged scholarship: A diffusion of innovation approach. Journal of Higher Education Outreach and Engagement, 16(1), (2012), 65-96. Jordan, C., Seifer, S.D., Gelmon, S.B., Ryan, K., McGinley, P. CES4Health.info: An Online Tool for Peer Reviewed Publication and Dissemination of Diverse Products of Community-Engaged Scholarship. Progress in Community Health Partnerships, 5(2), (2011), 189-199. Jordan, C., Seifer, S., Sandmann, L., Gelmon, S. CES4Health.info: Development of a peer-reviewed mechanism for dissemination of innovative products of health-related community-engaged scholarship. International Journal of Prevention Practice and Research. 1(1), (2009), 21-28. Jordan, C.M., Wong, K.A., Jungnickel, P.W. Joosten, Y.A. Leugers, R.C. Shields, S.L. The Community Engaged Scholarship Review Promotion and Tenure Package: A guide for faculty and committee members. Metropolitan Universities Journal, 20(2), (2009), 66-86. Jordan, C., Johnson, A., Hughes, S., Shapiro, E. The development of a new measure of declarative memory for 18 to 36 month old toddlers. Child Neuropsychology, 14(1), (2008), 21-41. Potegal, M., Robison, S., Anderson, F., Jordan, C., Shapiro, E. Sequence and priming in 15 month olds' reactions to brief arm restraint: Evidence for a hierarchy of anger responses. Aggressive Behavior, 33, (2007), 1-11. Jordan, C.M., Lee, P.A., Olkon, R., Pirie, P.L. Messages from moms: Barriers to and facilitators of behavior change in a lead poisoning preventive education project. Journal of Health Communications, 12, (2007), 771–786. Gust, S. Jordan, C. The community impact statement: A prenuptual agreement for community-campus partnerships. Journal of Higher Education Outreach and Engagement, 11(2), (2006), 155-169. Jordan, C., Gust, S., Scheman, N. The trustworthiness of research: The paradigm of community-based research. Metropolitan Universities Journal 16(1). (2005), 39-57. Conceptualized paper, defined intellectual content, co-wrote the manuscript and edited final manuscript. Co-authors from UMN and community partner. Calleson, D.C. Jordan, C., Seifer, S.D. Community-engaged scholarship: Is faculty work in communities a true academic enterprise? Academic Medicine, 80(4). (2005), 317-321. Jordan, C., Lee, P., Hampton, R., Pirie, P. Recommendations from lead poisoning prevention program participants: Best practices. Health Promotion Practice, 5(4), (2004), 429-437. Jordan, C., Yust, B., Robison, L., Hannan, P., Deinard, A. A randomized trial of education to prevent lead burden in high risk children: Efficacy as measured by blood lead monitoring. Environmental Health Perspectives, 111(16), (2003), 1947-1951. Jordan, C., Lee, P., Shapiro, E. Measuring developmental outcomes of lead in an urban neighborhood: the challenges of community-based research. Journal of Exposure Analysis and Environmental Epidemiology, 10, (2000), 1-11.